Calendar - Arts Council of Moore County - The Source for Moore Art! | Arts Council of Moore County - The Source for Moore Art! Celebrating its 41st Season, the Moore County Choral Society continues to gain prominence as a chorus of distinction and excellence and is proud to be among North Carolina’s long-standing choral groups. Our 100+ voice chorus celebrates the rich and varied heritage of choral music through outstanding live choral performances, and promotes and shares choral art through education and public outreach. The Arts Council of Moore County is proud to sponsor the Moore County Choral Society. Pink Martini is part big band, classical ensemble, salsa troupe, and all fun! The lush sounds of the North Carolina Symphony back this popular group in a vibrant show that includes the silky, sultry voice of singer China Forbes. Celebrating 43 years, Spoleto Festival USA fills Charleston’s theaters, churches and outdoor spaces with performances by world renowned artists, as well as emerging performers in opera, theater, dance, and music. Set against the backdrop of historic Charleston’s shops, restaurants, and uniquely preserved historic downtown, Spoleto makes for a truly unique experience. Get more information at www.MooreArt.org. 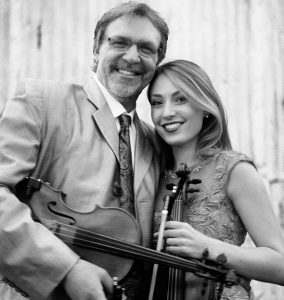 Mark & Maggie O’Connor concerts offer a broad and interconnecting collection of American music through violin/fiddle solos and duos, with additional music by Mark on guitar. You will find yourself inspired by the songbook of America as you have never heard it before. This is the first of four concerts in the Classical Concert Series. The full series is Mark & Maggie O’Connor on 9/30/19; Pablo Sainz Villegas, guitar on 10/31/19; Nathan Lee, piano on 3/9/20; Ensemble Mélange on 4/6/20. Cost: 4-Concert Subscription Series is $90 for Arts Council members ($110 for nonmembers); Individual tickets (if available), $30 each ($35 for nonmembers). Pre-Concert Dinner: Wolcott’s Restaurant (160 W. Pennsylvania, Southern Pines) – $38pp (tax & tip included) – Reservations & payment required by September 26 by calling the Arts Council at 910-692-2787. Presented by the Arts Council of Moore County and the Southern Pines Recreation & Parks Dept. since 1978, the next Autumnfest will be held on Saturday, October 5, 2019, from 9:00 am until 4:00 pm in the beautiful Downtown Park, Southern Pines. This fall festival features a 5K Run, a 1 mile Fun Run & Health Walk, youth sprint races, and children’s activities. Also, enjoy live entertainment, arts & crafts, and great food. 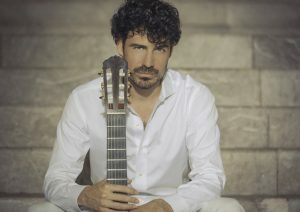 Praised as “the soul of the Spanish guitar”, Pablo Sáinz Villegas has become a worldwide sensation known as this generation’s great guitarist. Acclaimed as the successor of Andrés Segovia, Pablo is known for his passionate, emotive and open-hearted playing, whether he is performing at intimate recital halls, or playing to 85,000 people. This is the second of four concerts in the Classical Concert Series. The full series is Mark & Maggie O’Connor on 9/30/19; Pablo Sáinz Villegas, guitar on 10/31/19; Nathan Lee, piano on 3/9/20; Ensemble Mélange on 4/6/20. Pre-Concert Dinner: Wolcott’s Restaurant (160 W. Pennsylvania, Southern Pines) – $38pp (tax & tip included) – Reservations & payment required by October 17 by calling the Arts Council at 910-692-2787. Artist to be announced soon. 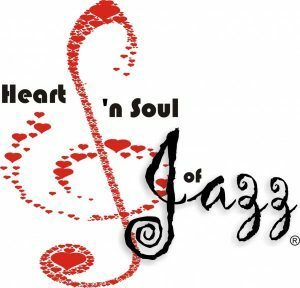 Heart ‘n Soul of Jazz is a fundraiser for the Arts Council of Moore County. 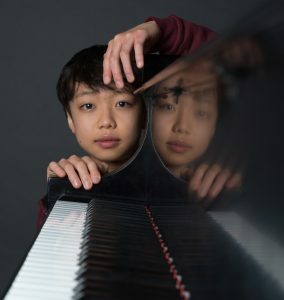 Nathan Lee began playing the piano at the age of six and made his orchestral debut at the age of nine. At the age of 15, Nathan won First Prize in the 2016 Young Concert Artists International Auditions, as well as 14 special prizes, including his debut engagement at the Kennedy Center in Washington, DC. This is the third of four concerts in the Classical Concert Series. The full series is Mark & Maggie O’Connor on 9/30/19; Pablo Sainz Villegas, guitar on 10/31/19; Nathan Lee, piano on 3/9/20; Ensemble Mélange on 4/6/20. Pre-Concert Dinner: Wolcott’s Restaurant (160 W. Pennsylvania, Southern Pines) – $38pp (tax & tip included) – Reservations & payment required by March 5 by calling the Arts Council at 910-692-2787.